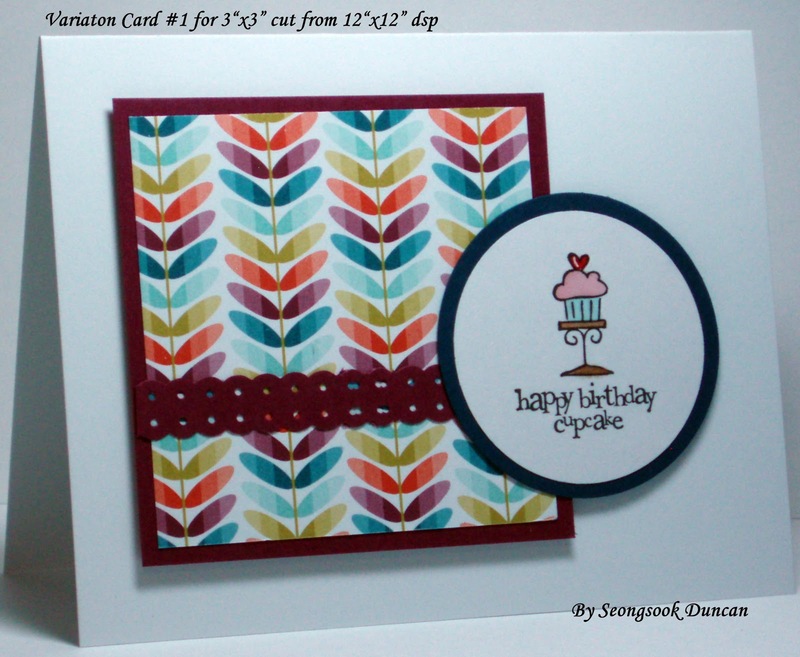 We had a great time and fun class today to make 8 cards out of one sheet of 12"x12" double-sided dsp. 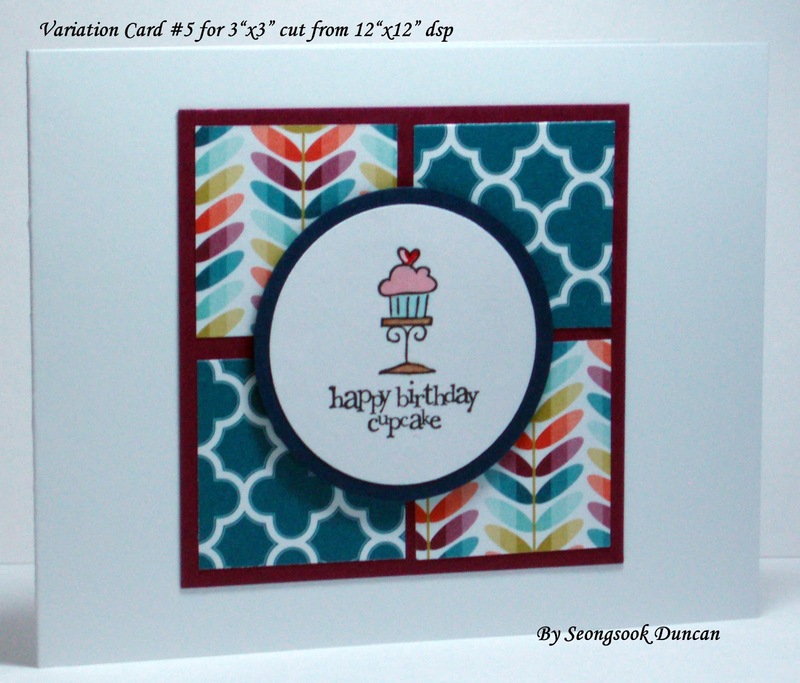 As one of variations, I made five cards to show you with 3"x3" cut from one sheet of 12"x12" dsp. If you plan ahead how many cards you are going to make from each layout, even more variations of course, you will end up making 16 cards without leaving any scraps. 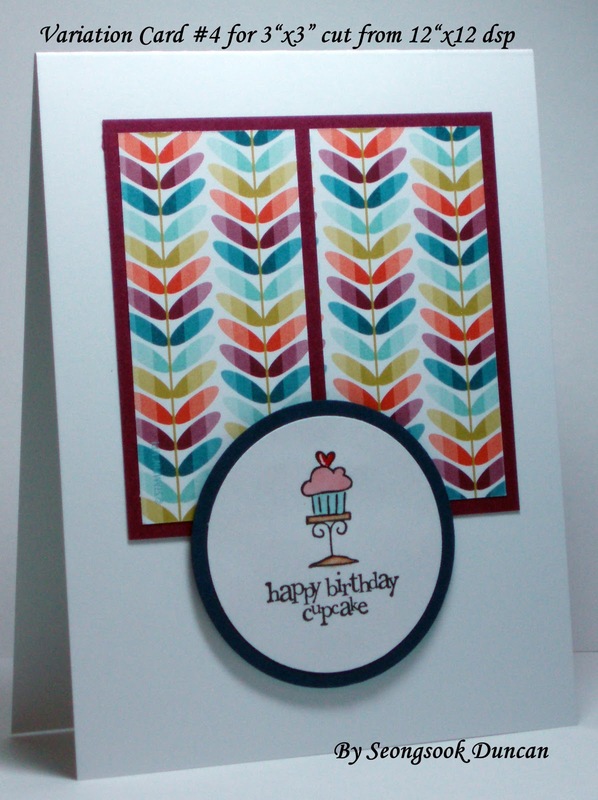 Depending on the design of the paper, you can use any sentiment of your choice and by the theme. You might embellish it more if you like to. 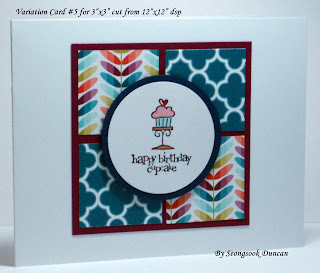 You always have the most helpful tips and hints...thank you I will give that a try...I have several 12 x12 sheets of patterned paper and hit a blank wall every time and end up just putting it back again. 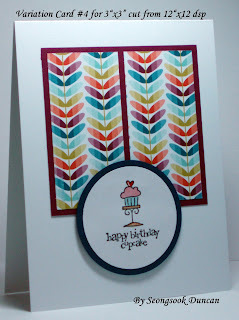 Great use of the paper, especially if you have large scraps left over. I totally agree with Debbie! I can't tell you how many times I have looked through my 12 x 12 paper and just end up getting discouraged and put it back. I love all of the white space that gives the eyes a rest when paired with bright busy paper. You are a gem, thanks! 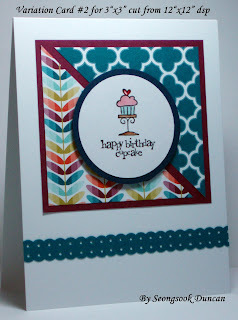 What size strip did you use for the double border punch? I have a hard time guessing what it was before it was punched. Thanks! 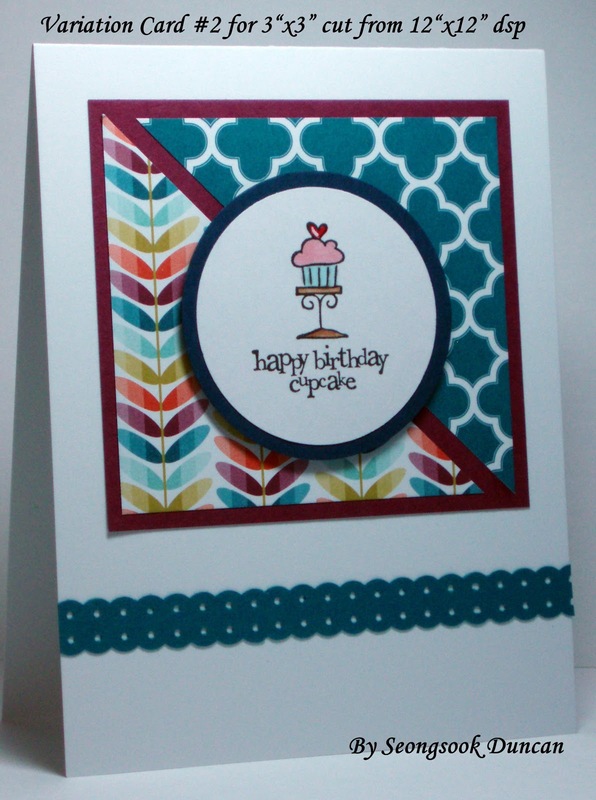 Love your cards and the different designs!! Sorry for the delayed response. 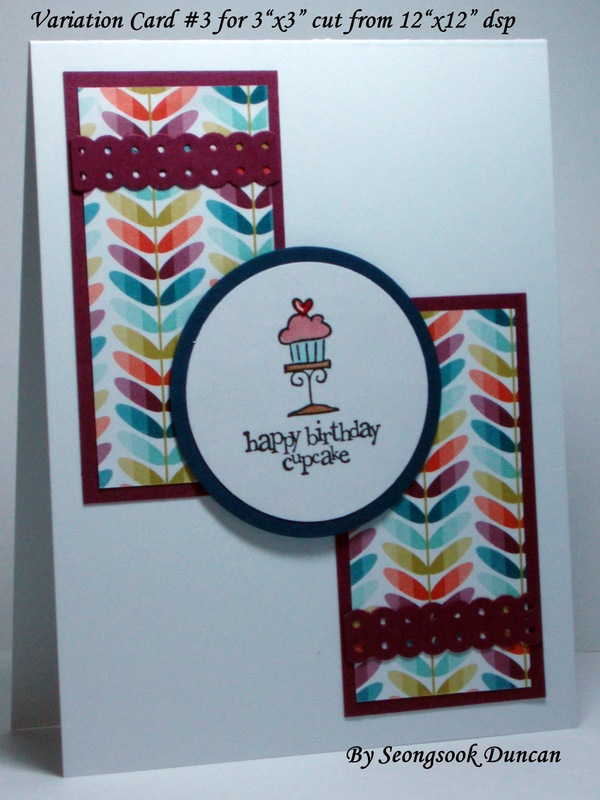 I used 1/2" width strip for the ribbon border punch. Thanks for visiting.